Perfect for all skin types including sensitive, sun-damaged, dry or stressed NEROLI FACE OIL is non-comedogenic and non-allergenic. Made with relaxing essential oils-  Neroli oil doubles as the perfect night treatment oil. Start applying at night: place 3-5 drops in the palm of your hands and then spread lightly over your face with upward, circular strokes. Over time your skin will tell you how much oil you need, and you will use it twice a day. 100% organic: neroli, petitgrain, rose otto, helichrysum, carrot seed essential oils; jojoba oil, avocado oil, meadow foam seed, rosehip seed, evening primrose oils; non-GMO vitamin E.
I have Eczema, so I have really tried a lot. A lot. Grapeseed Oil, Hemp Oil, Sesame Oil, Argan Oil, Almond Oil..to mention a few. And not to mention all the different kinds of (miracle) lotions and creams. And then I recently stumbled over this. Neroli? As you might assume I was quite sceptical. But then: why not give it a try? First of all: this smells really really good. Very soothing and warm. And then: it is absorbed so quickly into the skin like no other Oil I have used before. Doesn’t feel oily at all! All I am left with is a super soft and great smelling skin. No irritations have occured so far (I’ve been using it for 2 weeks now). I have the feeling that this stuff is very nourishing but not overwhelming like some other Oils and Creams (some of them very expensive) I have used or tried. I have come to the conclusion that for my super-sensitive skin less is more. 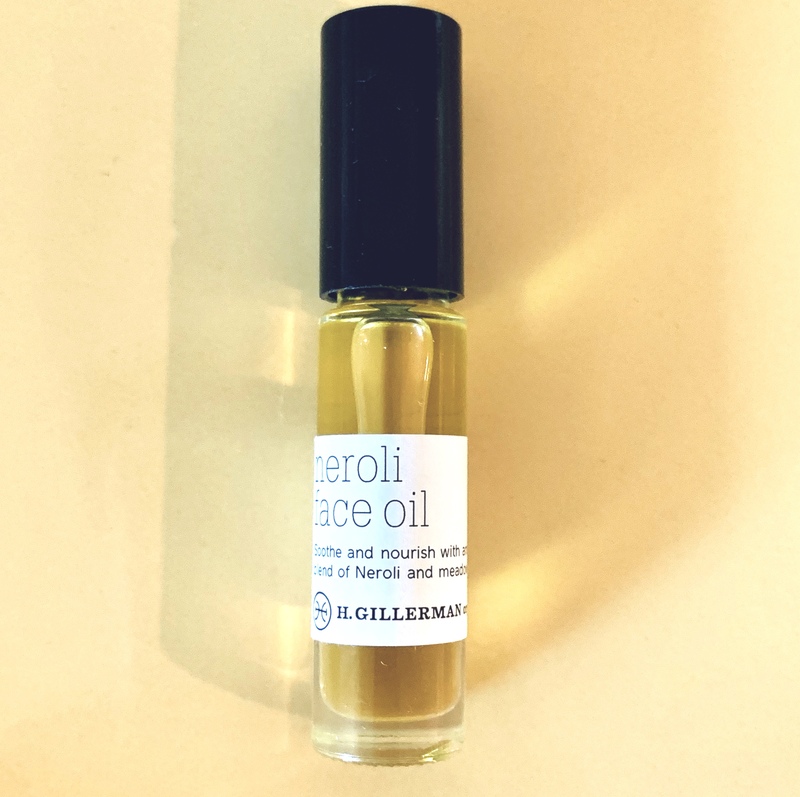 And this beautiful Neroli-Oil just fits in perfectly! As I age my face needs a little more loving care and moisture. This oil is AMAZING! I have already ordered another bottle. LOVE these beautiful clean products and my skin looks and feels amazing! Thank you! So happy to hear that you are getting results! I almost done with my first bottle. I have noticed a change in face. I have rosacea, and rosacea bumps, and mature skin. Each night I wake up with bright skin. And my rosacea bumps seem softer. I also apply in the morning. So far so good. I am pleased. Dear Rosi, thank you for letting us know about how Neroli face oil is working for you.I have worked hard to keep my formulas simple and iingredients as pure as possible for our delicate skin (I have sensitive, mature skin).